We would like to thank you for making our vision come true. 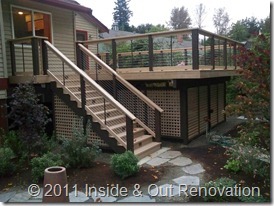 Contemplating retirement in a couple of years, this Bothell couple decided that while the income was still there, they would like to have a new deck for entertaining family. The old deck was quite large, approximately 1300 square feet, and in bad disrepair. Thinking about the future and aging-in-place, the couple decided that one level was preferred. 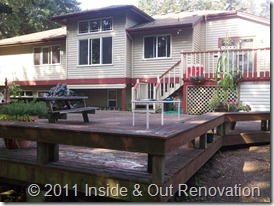 The final outcome from several planning sessions was a 360 square foot deck with two staircases and under deck storage. As with any project, there are a lot of factors to keep in mind. 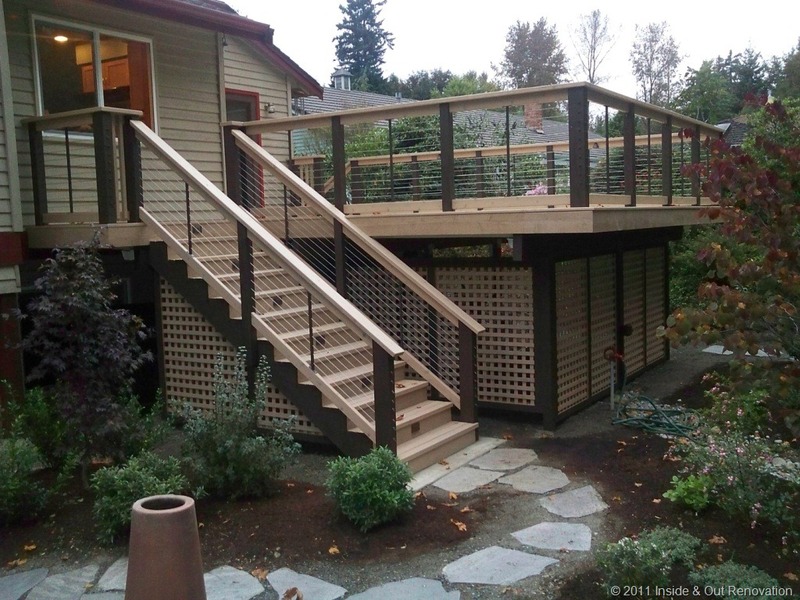 On this project, the owners decided to trade maintenance for some additional enhancements: Cable railing LED deck lighting and enclosed storage.